Pappadeaux Seafood Kitchen is part of the Pappas Restaurants Inc. Pappadeaux Seafood Kitchen specializes in gourmet seafood creations. It is the largest of its kind that is located in the United States and is a respected leader in their industry. For more information on the Pappadeaux Seafood Kitchen application, follow the information below. Founded in 1976, children of Greek immigrants Chris and Harris Pappas opened their first restaurant. They opened a series of different restaurants with a variety of different concepts. Their first location was a BBQ centered restaurant originally named “The Brisket House”, later named “Pappas Bar-B-Q”. Since then, they have created 8 other restaurants, including Pappadeaux Seafood Kitchen, with more than 80 locations across the Midwestern, Southern, and Southwester states. This company is a family owned and operated company that takes pride in their products. They want customers to have an unparalleled experience while in their restaurant, having delicious food and being a part of this family atmosphere. They also provide support to their local communities, supporting charities that focus on ending hunger, as well as encouraging literacy and education. They also support causes that help disadvantaged children. This is a company that treats their employees like family. In return, they want employees that have amazing interpersonal skills that help create a positive customer service experience while in their restaurant. While they feel that their food can speak for itself, they understand that customers return because of the memorable and positive experience they have had in the restaurant. Pappadeaux Seafood Kitchen is a company that allows and encourages for their employees to advance their careers with this company. They offer a variety of positions at both the corporate office and restaurant level. The restaurant level offers entry-level positions so that people can grow their job into a Pappadeaux Seafood Kitchen career. Some positions include server, hostess, and manager. The corporate office offers a wide variety of positions so that all potential job seekers can find something that fits their skills and talents. While there are some entry-level positions at the corporate office, most positions are higher level positions with more requirements to gain employment. Some positions include marketing, human resources, and restaurant operations. The different positions at this company have a different set of requirements in order to gain employment. Entry-level positions may require a high school diploma or equivalent and little experience. Higher level positions may require a college degree and several years of experience to gain employment. How old do you have to be to work at Pappadeaux Seafood Kitchen? The minimum age of employment is 18 years of age. This company offers competitive benefits for their industry. Employee eligibility for benefits can depend on hours worked weekly or job title. Some benefits include health insurance, dental and vision plans. They may also receive long-term and short-term disability, as well as life insurance options. Other benefits include employee discounts, fun work environment, and access to a credit union. The hours of operation can vary depending on location and holidays. Some holidays may cause restaurant closures. For more information on hours of operation, contact your local restaurant for details. In general, hours of operation are Sunday through Thursday from 11:00am to 10:00pm, Friday and Saturday from 11:00am to 11:00pm. Server- A server is responsible for greeting customers at their table and taking their drink and food orders. They should take note of any special requests as well as any allergies that the customer specifies. They should be sure that the order is correct before delivering the food to the table. They will also help clean the tables as needed. A server may earn around $4.30 per hour, not including tips. Host/Hostess- A host is responsible for greeting customers as they enter the restaurant. They will seat guests at their tables and give them the menus. The host will also manage the waitlists and the reservation lists. They will inform customers of the wait if there are no seats available and add them to the waitlist. A host will also answer phones. A host may earn around $8.50 an hour. Line Cook- A line cook is responsible for cooking the customer’s orders. They will do this based on the company recipes and instructions as well as taking note of customer requests and allergies. A line cook must be sure to properly rotate food so that old food gets thrown out and the food is always fresh. A line cook may earn around $10 per hour. Restaurant Manager- The restaurant manager is responsible for running the daily operations of their restaurant. They will hire and fire employees as necessary. They will also conduct job interviews for potential candidates. A restaurant manager is responsible for their establishment’s payroll, budget, and inventory. They are also in charge of scheduling employees. A restaurant manager may earn around $45,000 a year. Why do you want to work at Pappadeaux Seafood Kitchen? This question may require some research prior to your interview. The interviewer is looking to see how much you know about this company and what they stand for. Describe which values you feel you share with this company and why that makes you a good fit to work here. Have you ever had to work as part of a team to accomplish a goal? This business requires their employees to work together as a team to help things run smoothly. The interviewer is looking for people who excel at teamwork. Describe any time that you had to work as a team to accomplish a task. Why should we choose you over the other applicants? The interviewer is giving you the chance to sell yourself to this company. Take this opportunity to discuss your strengths and why you feel this company would benefit from them. Try not to sound too boastful when doing so. What is your greatest weakness? The interviewer wants someone that can be honest about their strengths and weaknesses. They want someone who can identify their weaknesses to overcome them. Answer honestly about your weaknesses and how you overcome them to achieve success. When are you available to work? This business is looking for employees with flexible availability, including the ability and willingness to work on weekends and evenings. Be honest about when you are available to work. Wondering how to apply at Pappadeaux Seafood Kitchen? 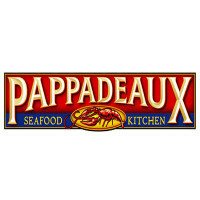 You can apply for a Pappadeaux Seafood kitchen job by visiting Pappadeaux Seafood Kitchen jobs online and finding the printable application online. This is a downloadable application that you can print out and fill out before going to the restaurant closest to you. You may also fill out an application form at your local establishment. You cannot apply directly online. This company has the job descriptions and responsibilities clearly stated on the website so that potential job seekers can find the position that fit their skills and talents. You should only apply for positions that you qualify for. You should fill out the application completely and according to the instructions provided. You should submit an updated resume along with your application. After applying here, you should hear back within a reasonable amount of time. If not, you can contact the location that you applied at to check the status of your application and see if they are still hiring for that position. They may also provide additional information including when interviews are set to begin, if they have not yet begun. You may consider preparing for your interview beforehand. You can do this by asking yourself potential interview questions and answering them aloud. This will help ease your nerves and help you be more confident and articulate during your interview. You should also remember to dress in a professional manner for your interview. This will help increase your chances of getting the job. Brio Tuscan Grille: Visit the Brio Tuscan Grille application. Luby’s Cafeteria: For employment at Luby’s Cafeteria visit the application page. Benihana: For career opportunities, fill out the Benihana online application. Marie Callender’s: Visit the job application for Marie Callender’s to apply today. Logan’s Roadhouse: For employment at Logan’s Roadhouse visit the application page.